Conserve water, save energy and reduce waste while increasing profits and productivity! Hospitality market product iconlaundry equipment for hotelsContinental high-performance laundry equipment not only boosts profits by decreasing water, gas and electricity usage, the equipment maximizes laundry productivity using less labor. Thanks to Continental high-performance commercial washers, dryers and flatwork ironers, hotels reduce utility and labor costs, and in the process, elevate their green marketability and appeal. 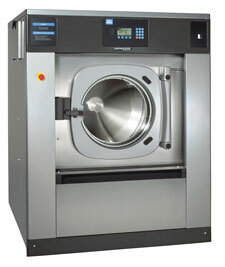 View all on-premise commercial laundry industries. Laundry Solutions for Hospitality Laundries Brochure – View the brochure on how Continental Girbau laundry equipment is designed specifically for hospitality laundries. Combating MRSA Infections – Proper storage and cleaning practices of all laundry is key to avoiding MRSA.